2 Queen beds, TV, and screened lanai. The Shorewood boardwalk and Gulf of Mexico view. 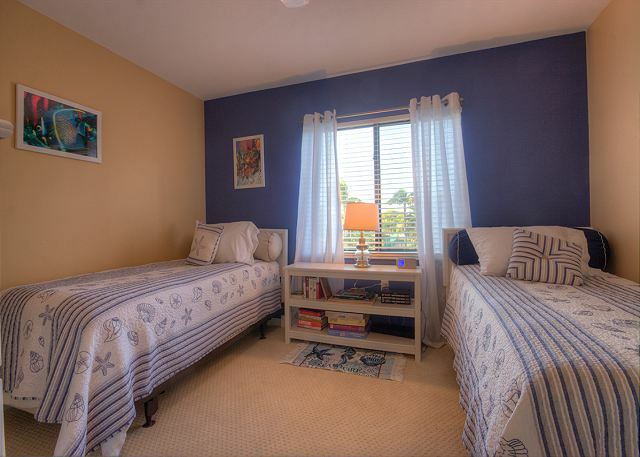 There is no better way to spend your next Sanibel vacation than in the luxurious accommodations at Shorewood C2! This phenomenal 3 bedroom, 2 bathroom gulf side condo has been totally remodeled, appointed, and furnished to the highest standards. Once you step foot into this tranquil and calming environment you'll feel right at home with its clean, comfortable and relaxing decor. 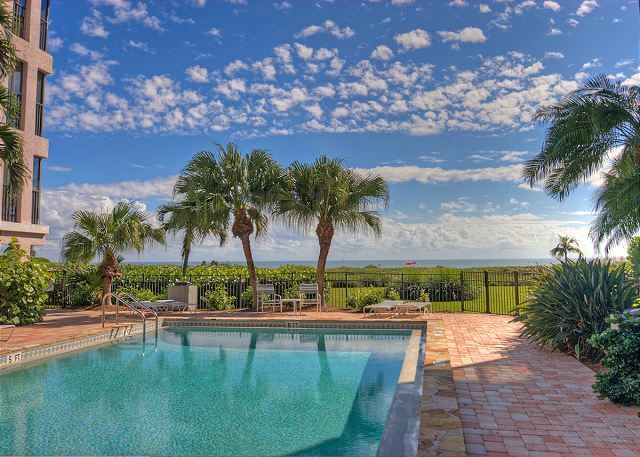 The spacious and open floor plan offers views of the Gulf of Mexico from the main living, kitchen, & dining area as well as the master and front bedrooms. 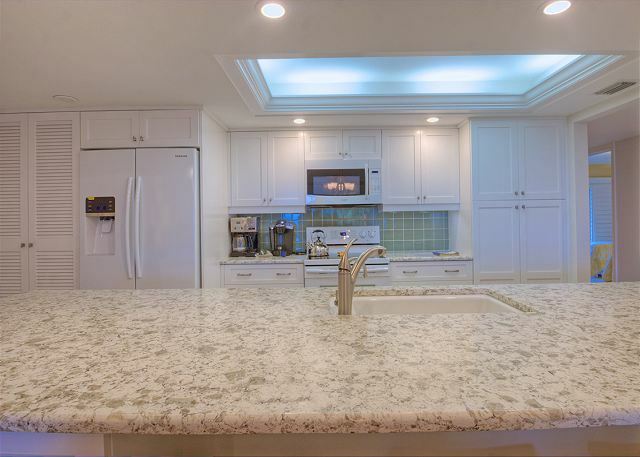 The full-sized gourmet kitchen is a beautiful centerpiece to the room and features an oversized quartz countertop and breakfast bar, custom cabinets and top of the line appliances. The split floor plan separates the master bedroom from the 2 guest bedrooms on opposite ends of the unit. 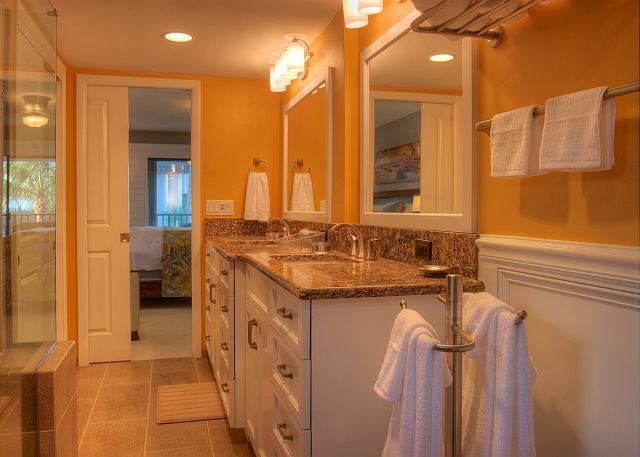 The master suite showcases double doors leading into a large private oasis with a spacious closet, double vanity sinks, walk-in glass shower, and a private lanai porch overlooking the pool and out to the Gulf of Mexico! All the attention to detail and the level of interior upgrades in this unit are truly spectacular the pictures don't do it justice! Book with us today and come and indulge in all comforts that Shorewood C2 has to offer! Condo amenities include: 3 bedrooms/2 bathrooms -- 1 King bed, 1 Queen bed, 3 Twin beds (sleeps 6 people), 4 flat screen TV's, DVD player, free cable & WIFI, shared heated pool, in suite washer & dryer, tennis courts, elevators, boardwalk to beach. No Pets allowed. Bed linens and Bath towels included. Beach chairs, beach towels, and an umbrella are provided for added convenience. 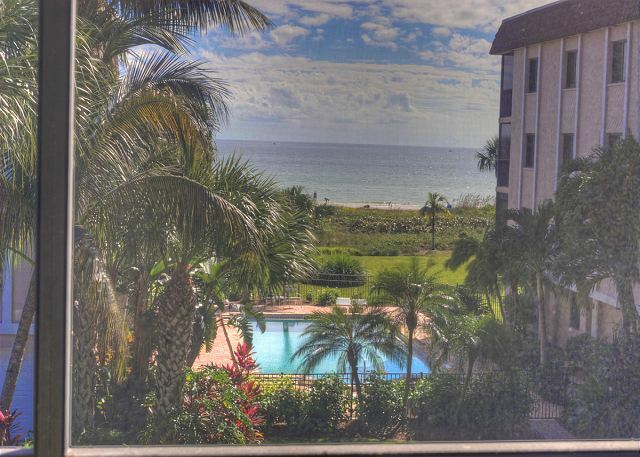 Guest Reviews of shorewood c2:perfectly updated condo in smaller, quiet complex w/ gulf views! Our recent spring break trip to Sanibel was fantastic! Shorewood C2 was perfect for our family of five (two adults, 3 kids- 9, 12, and 15). The kitchen had everything we could ever need. I have never stayed at a rental with such quality kitchen equipment, dishes, small appliances, etc. Sanibel Vacations, Inc also provided top service with staff that went the extra mile. We rented 5 bikes, 2 SUBs and 1 kayak for the week. Sanibel Vacations, Inc delivered everything and it was all waiting in the garage for us at arrival. There is also an additional storage area filled with chairs, umbrellas, and other beach toys. We were so thankful for those additions since we flew and couldn't bring beach gear along. We highly recommend Sanibel Vacations, Inc and Shorewood C2. We will be back! Thank you!! Thank you so much for your review of Shorewood C2! We are so happy we were able to help make your vacation as easy as possible. We also appreciate the feedback about the kitchen supplies, as we are always working to evolve and make sure our guests have everything they need for their stay! We can't wait to see you again! 9th time to Sanibel - 1st time in Shorewood C2. Easy from check in to check out. Best part? Key pad on the front door - no keys to keep up with, pick up or take back! Thank you so much for your review of Shorewood C2! We are so happy you enjoyed your stay and that the key pad was an extra bonus for you! We hope to work with you again and help plan another trip to Sanibel! This was by far the most well equipped condo we have ever stayed in! It had everything you need, just show up with yourself, what food and personal items you might need and your set! Clean, comfortable and great location! The beach access was great and the beach or pool was never crowded! We will definitely stay here again! Thank you so much for your review! We are so glad to hear you feedback about the condo and that you all had a great vacation! We hope to see you again in the future! This condo was a dream! Not only was it perfectly located with easy beach access, but the condo itself was even more than the pictures can describe! There was so much attention to detail in this condo. The details were in the little things like the dishes, kitchen supplies, beach supplies, art work, and furniture. We had a fabulous unwind week in this dream! The condo managers we great too! Twice we needed assistance and they were on it within a very short time. Thank you! Thank you so much for taking the time to leave this review! We are so glad you enjoyed your stay. We hope to see you again on Sanibel soon! Five stars! Booked for next year! Review by Jane Ellen H.
C2 at Shorewood has everything you need and want for a great vacation experience! Have stayed at several other places on Sanibel and Captiva but hands down, you can’t beat the location, the amenities and the superb service from Carly and her staff at Sanibel Vacations!Fabulous kitchen stocked with high end appliances, utensils and bar ware. Great beach decor, wonderful beds, and beautiful views of the Gulf from the lanai and great room..... everything you desire from a vacation rental!Beach towels, beach cart, umbrellas, chairs and beach and pool toys were a hit with both the kids and adults! We can’t wait to go back next year! Thank you so much for leaving us this great review! We are so happy you and your family enjoyed your stay! It was such a pleasure meeting you and speaking with you! We can't wait to see you next year! We loved the property! The pictures represent the real deal! Just 240 steps to the beach from our door! Quiet, tranquil property! Our daughter liked that there were no "steps" inside property for the little ones. Bedrooms well placed for napping! Thank you so much for your review! We are so glad you enjoyed your stay! We hope you will join us again in the future when visiting Sanibel! Very nice condo for family. Roomy and steps from the beach.Nice location. Beautiful walking paths and miles of beach!! Only thing missing is an outdoor grill. We are so glad you enjoyed your stay with Shorewood! We are so sorry we are not allowed to have grills on property. I hope everything was great outside of that. We hope to see you again in the future! This was the second year that we rented Shorewood C2. It is very nicely furnished and bedroom configuration works well with my husband and me, our daughter, son-in-law, and three children - one child a baby in a crib. We cooked most nights since it's hard to eat out with small children, and the kitchen had everything we needed. I do wish the Shorewood condos had a grill on the property. We did not bring anything for the beach - the condo had many beach towels and the garage closet had chairs, huge number of beach toys, a couple of umbrellas, floats for the children to play with in the pool. Since the C building sits back from the beach, I would say this condo might be called "gulf view." It is not gulf front. Sanibel Vacations was very accommodating and we have been pleased renting from them. Thank you so much for your feedback! We are so glad you enjoyed your stay. It was a pleasure having you! We had a wonderful time, perfect weather! We were very happy with the condo and the beds were wonderful. The unit had a great location for the beach and biking. Plenty of space for everyone! Just booked for three weeks for Feb 2019! Thank you so much for your review! We are so happy you enjoyed your stay on Sanibel! We look forward to seeing you again next year! Overall excellent. The location is good and the unit was well appointed and clean. We have no issues. We will return next year. Thank you so much for your review! We look forward to having you again next year! Fabulous condo, very attentive rental management. Thank you so much for your review! We are so happy that you enjoyed your stay on Sanibel! We hope you will stay with us again on your next vacation! We certainly enjoyed our stay. The décor and comfort of this unit was outstanding. The kitchen is very well stocked and really helped to make our stay enjoyable. The bedrooms are so comfortable. We would love to return. Hi Sally, thank you so much for your review! We truly appreciate your feedback. We can't wait to see you again next year! Beautifully decorated, great location. Our first time to Sanibel Island and it was awesome. Tons to do, shelling, fishing/boating, Ding Darling Nature Preserve on and on. Will be back next year. Templeton's, we are beyond happy that we made your very first experience go so well. And you bet, we will see you again next year! Review by Mary Ann M.
My stay at this delightful condo was perfect...nice pool...shell filled beach...spectacular view of the gulf. Thank you so much for you stay at our place.We are glad you had a wonderful stay. Classy! Clean! Comfortable! Cozy! And just plain fabulous! A cooks dream for a kitchen! I can't imagine any type of entertaining you might want to do that wouldn't have the supplies there to do it! This was our third year and the above reasons are exactly why we keep coming back! The management staff will accommodate you with any needs you may have for vacation purposes. They're wonderful ! Thank you so much for the rave review! We are alway happy to help and we're absolutely thrilled to hear you've enjoyed another great vacation at Shorewood C2. We look forward to seeing you back again soon! Had a wonderful vacation in Sanibel. The condo is clean, roomy, well equipped, and well situated to beach and pool. The condo appears just as in the pictures, wish I was staying one more week! We're so happy you enjoyed our Shorewood C2 condo and your week spend in paradise! Please come back and visit soon and stay the full two weeks next time! 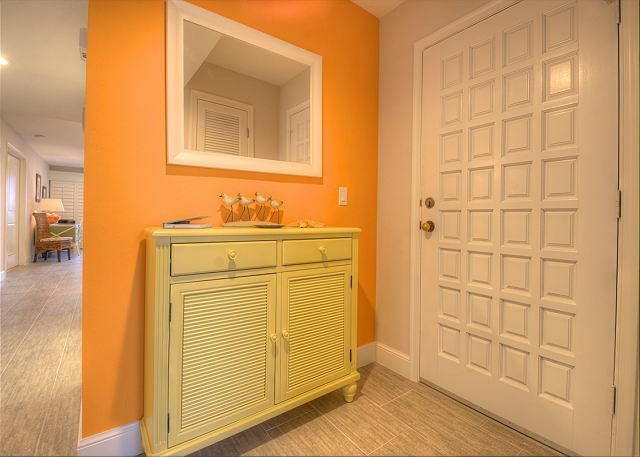 Shorewood C2 is a spacious, clean, and very well-stocked rental with direct beach access. There is a beach closet with everything you could want or need for a day on the beach, including chairs, an excellent quality beach tent, beach cart, kid's toys, inner tubes and rafts. Inside the apartment, the kitchen was well-appointed, there is a huge basket with books left by previous guests, tons of beach towels, and even puzzles and some board games. There is a direct view of the gulf, but it is partially obstructed by the other Shorewood buildings. 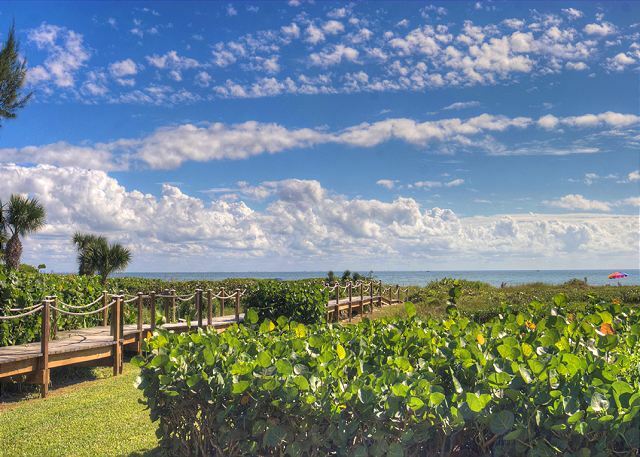 We wouldn't hesitate to book Shorewood C2 again if we decide to return to sanibel. We are so glad you had a great stay with us! We were blown away with this rental. It was spotless upon arrival, stocked with anything you could possibly need, and the beds were SO comfortable!! That never happens in a rental! We stayed with our children and my parents and everyone loved it. The pool was heated and so fun and the accessibility to the beach was a breeze. Our favorite part of the condo was the huge double sliding doors that let the outdoors in. We will be back!! Thanks so much to the owners for creating such a wonderful place for visitors and Thank You to SBL for the hospitality while we were there. We loved our stay at your condo and have recommended it to others! The location was great . . . right on the beach. 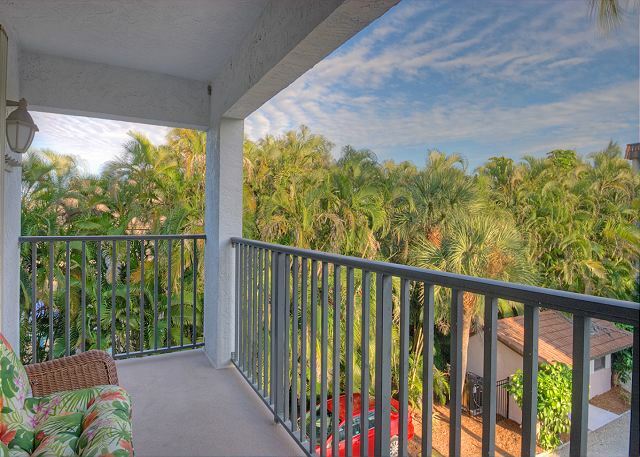 The condo has been beautifully remodeled with quality furnishings and very well appointed! Lots of beach towels, chairs, umbrellas and toys! The kitchen may be better stocked than may own. Finally, the copier was a nice touch and one that I used to keep up on work while we were able. Would definitely stay here again! We have been frequent visitors to Sanibel, however, this is our first time staying at the Shorewood C2. The condo was amazing, it was stocked with anything and everything you could want......and more! Very spacious and clean. We could walk to both the pool and the beach in no time. A short drive to many great restaurants and shops. Quiet building. Sanibel Vacations was great/easy to work with, delivered tennis rackets to us within minutes of our request. We'll definitely be back! What wonderful vacation stay. The place was very beautiful, clean and organized! It included just about everything we could think of. My family didn't have one complaint. Comfortable beds, great bathrooms, every utensil, pot and pan we needed to make a nice dinner if we preferred to stay in. We will definitely return to the same spot! Awesome experience. Carmen, We are so happy to hear that the condo and your vacation exceeded all your expectations! We definitely look forward to the opportunity to get you and your family back into this great Shorewood unit! Our family had a wonderful time. The condo was in wonderful condition with everything we needed. Our time together was priceless. I read the reviews which were excellent. However, I am very OCD and felt I would still be disappointed and not 100 percent comfortable. Well, I fell in love with this place. They have everything imaginable! It was very clean and organized! Management company was great. We would never stay anywhere else! We have been going to Sanibel for years and this was definitely the nicest place we have stayed. It was extremely comfortable for three generations of guests. The apartment is spacious and beautiful furnished. 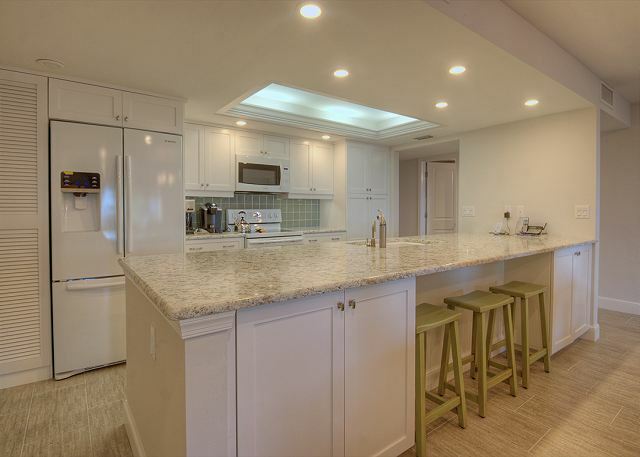 The kitchen is well equipped, and the terraces are fabulous. It is very well located and we all enjoyed the pool and the beach. The bicycles we rented from SBL were great too. All around, top quality and great service. Exceeds expectation. Great family vacation! Upon arrival we found a very clean condo with great views. The condo was very comfortable for hanging out. We enjoyed the heated pool, easy access to the beach. We enjoyed biking around the island. The condo and grounds were very clean. We had a wonderful time! Appreciate all the help from the property management company. Perfect place in every way! The beds were wonderful, the condo and complex were very clean and up to date. This condo is almost overstocked. Everything you need for Cooking, Mixing Drinks, the beach chairs are new, the screened porch- great view. The appliances all new and worked Great. The Property Managers wonderful - rented Stand Up Paddle Boards timely delivery. The description does not do it justice . We had a wonderful stay at Shorewood C2. The photos on the website do not do the property justice! 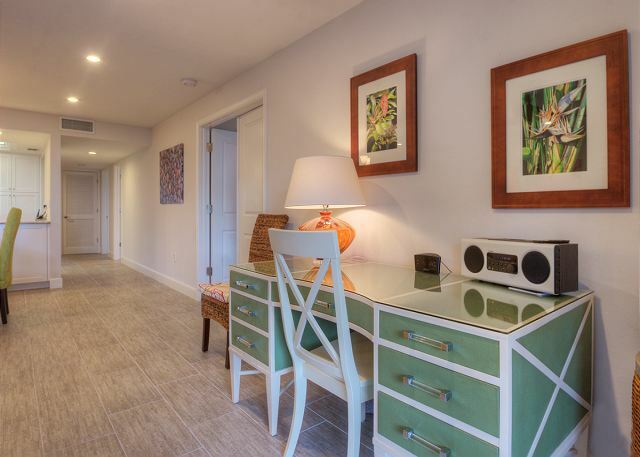 Not only is the condo exquisitely furnished and appointed, it is the cleanest condo we've ever rented. The owners have thought of absolutely every comfort and convenience. One night, during a thunderstorm, the lights flickered. We wondered if they had flashlights (just in case). Yes, they did! Another night, we realized we'd forgotten to pack chip clips. We opened a drawer in the kitchen and, voila! There they were! There was even a drawer containing aluminum foil, plastic wrap, and the like, marked for use by guests!!! So considerate!The grounds at the Shorewood are beautiful and very well-kept. The pool was clean and never crowded. The location is very quiet. We really enjoyed relaxing on the beautifully furnished screened lanai!SBL Vacations did a wonderful job of making us feel welcome and we're looking forward to returning next year!If you're looking for a quiet, relaxing, absolutely beautiful setting for your vacation, this is the place! The condo is exactly as pictured. It is beautiful and is very well equipped. 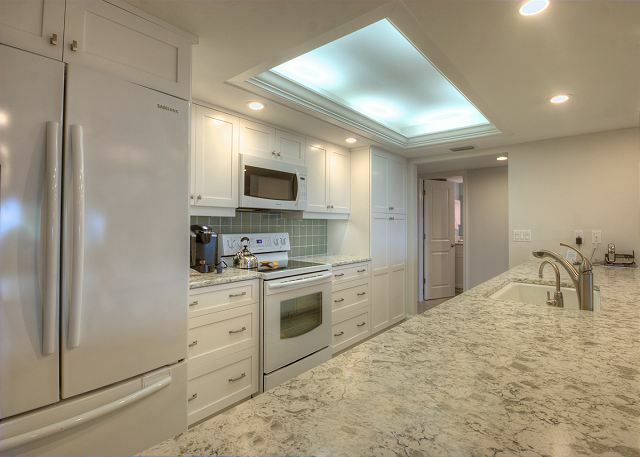 The kitchen has every kind of appliance and tool that you would ever need and there is also lots of beach equipment including canopies and a cart. There are lots of beach towels, beach mats and toys. The SBL agents are very helpful and responsive. Overall, we had a wonderful stay. Wonderful vacation! Condo was beautiful and had everything we needed for the week. We appreciated all the details that were available to us. The grounds were very pretty and maintained well. We loved that it was not overcrowded and the other population there during the week were families and were pretty low-key like us. We would recommend Shorewood and hope to stay again in the future. What a beautiful condo! This vacation rental was probably one of the nicest places I've stayed in. Everything was beautifully renovated and we felt right at home. The condo comes equipped with any and all dishes you can think of, barware, drinkware, silverware, pots, pans, etc! Note that you must purchase your own condiments (including salt & pepper), TP and trash bags. I recommend stopping by the Walmart in Ft Myers before you head to Sanibel, much cheaper prices.As for the location of the condo, it is located right next to the pool, and you take a very short walk on their boardwalk to get to the beach. The rental comes with a storage unit with at least 5-6 beach chairs, beach umbrella, cart, toys, and tent. Great for families as you don't need to bring your own beach gear. There is not much going on outside of the condo though, so unless you plan on driving everywhere, I would recommend renting a bike for the entire week. I regret only renting a bike on our last 2 days...you can get anywhere on the island much quicker with a bike! !If you're looking to see a sunset, this is not the place for it. We took a 20 minute drive to a different beach up north and caught a sunset there. Not a dealbreaker for us though. All in all, I would absolutely recommend this property. Great place for a family to stay - we had 5 adults and a baby and we had more than enough space. Rob was extremely helpful as the property manager also! Our family had the most wonderful week at Shorewood C2. The condo is everything in the pictures and much more. The condo is beautifully decorated, spacious and serene. It was perfect for our family (4 adults, 3 year old and 10-month old). The kitchen is a dream kitchen with everything that you could possibly need and then some. SBL Vacations were fantastic. They arranged and delivered our bike and pack n play rentals. We will definitely return again as we can’t imagine staying anywhere else on Sanibel Island. Excellent! Rob and Charlie are 100% customer service oriented. They did a great job from start to finish. Always timely in their responsiveness, helpful and ultra professional. Very nice vacation. Condo complex is small, off the beaten path. Very clean, well manicured grounds. Pool was heated and always empty! Lots of beach walking, swimming and building sand castles were top priorities. 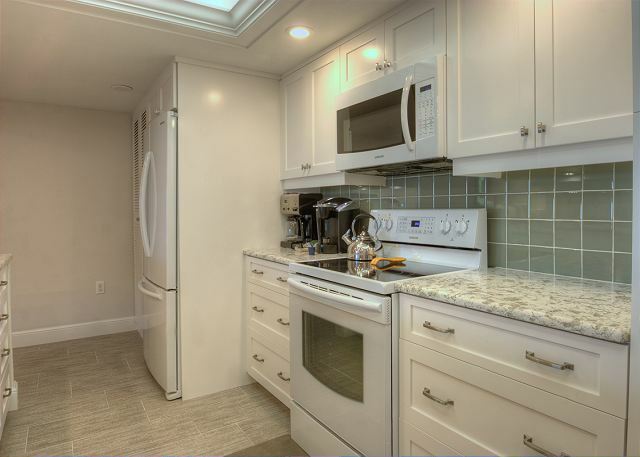 Condo kitchen was well equipped with dishes, pots, small appliances, dish washing and laundry soaps. Must provide own condiments, trash bags and TP. Beds are super comfortable, unit is spacious, plenty of tvs and excellent wifi. Parking is convenient. unit has storage locker with every pool/beach item you can imagine,including a beach cart. Unit itself has plenty of beach towels and mats. Be aware there is no grilling allowed in the complex; however there are so many restaurants with delicious seafood that we did not miss it. Short walk to beach on a cute boardwalk. Be aware there are no bikes allowed on the beaches but plenty of trails all over the island. Also there is no sunset view from this point on Sanibel; my husband was disappointed because he loves to photograph sunsets! If we go back to Sanibel I would definitely rent this unit. It is CLEAN, nicely furnished, large, perfect for a family. The SBL property managers (Rob) are very friendly and accommodating. BTW, SBL has bikes, kayaks, and some other items (such as a pak and play) available for rent at very reasonable prices. Check out Hey Mon for a memorable boat trip. Traders was our favorite restaurant. Bennetts has the best gelato. Go!! You will enjoy!! The accommodations were great. The location was accessible to everything. Great view, nice pool , overall great vacation for an extended family grandparents parents and kids. The condo has a great location on the Gulf, a beautiful view of the Gulf, and good amenities in its swimming pool and tennis courts. The condo is beautifully decorated and its kitchen exceptionally well equipped. The storage unit has all the beach paraphenalia you could ever want. The owners have really done a great job with this one. This was our first time in Sanibel and we absolutely loved it! The location was beautiful and the condo was perfect! We loved everything about it, location, proximity to the beach and pool and the lanai (most amazing part of the condo). We will definitely be back! Just like the pictures and more! We have stayed in many lovely vacation properties and timeshares and this was probably one the top 3 ever if not number 1! 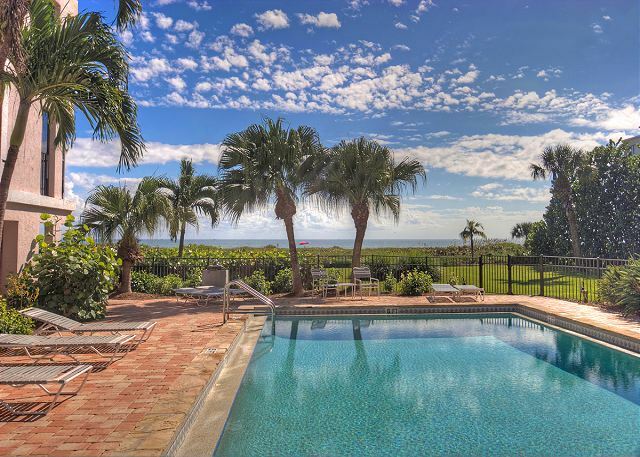 The location to the beach, pool, and restaurants are perfect but its everything inside this Sanibel property that make it so amazing. It's the top quality furniture, including beds (as good as, if not better than your own),beautiful, spacious, well lit bathrooms with great shower heads and water pressure, and a kitchen that makes you want to go home and remodel and doesn't lack for any item you could think of. The washer and dryer are really nice. I never do laundry on vacation because I usually can't stand the cheap ones they put in rentals but I went home with clean laundry because it was so convenient to just throw a load in and still be right there with the family. There's a really nice 12 x 12 tent that held up against the Sanibel winds and gave our family plenty of room in the shade. The only thing I can come up with to complain about is the lack of a decent size cooler so that's pretty good!Oh, and would be remiss if I didn't mention Rob from Sanibel Vacations...he was great! Very helpful about everything from check in to renting us kayaks to advice on watching fireworks! Outstanding service from our rental agent, who went out of his way to accommodate us! On top of it, the unit was exceptionally clean and amazing in its standards of cleanliness and several impressive updates. We would happily come back! We are so happy that you are pleased with our services and we certainly look forward in seeing your family again here on the island! When we arrived we were concerned about the ground clutter around the condo and the condition of the pool but it was addressed by the rental agent and all was taken care of. Thank you so much for taking the time to leave a review! It was such a pleasure having you and we hope to see you again soon! The condo was nicer than the website pics. The kitchen had everything you could possibly need to cook. The beds were comfortable. Plenty of beach chairs, shade devices, and toys for kids. It was a quiet place, very relaxing. our best vacation by far! Our family vacation couldn't have been more perfect! The condo was by far the best that we could have asked for. 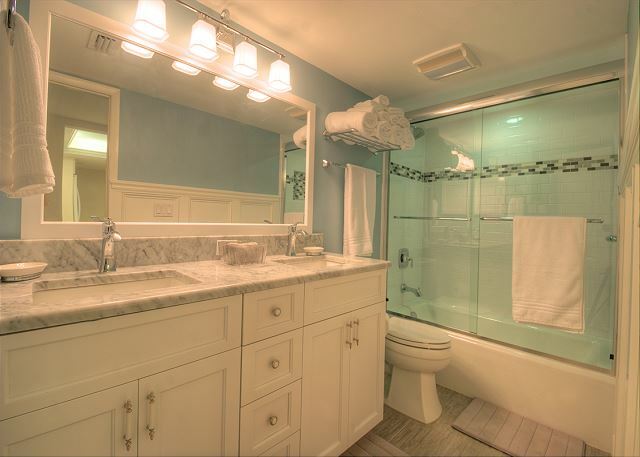 The condo was not only tastefully decorated but the amenities were many. The condo manager made us feel at home and helped us with whatever we needed. We will definitely come back to this unit again!!! Shorewood is everything we hoped for. The condo is beautiful with everything you would need for a comfortable stay. Rob and Charlie made sure we had everything we needed including bikes and paddle boards. They are amazing hosts! We will be back next year! Thanks Kate - we think you and Joe are wonderful also!! It is such a pleasure to see you and your family every March, and we take great pride in exceeding your expectations along the way. Have a wonderful year and we will see you in 2017! The condo was fabulous, warm and inviting!!! Great pool and access to the beach. Great property - newly upgraded unit, well furnished and equipped - especially liked the 10 ft x 10 ft sun canopy. 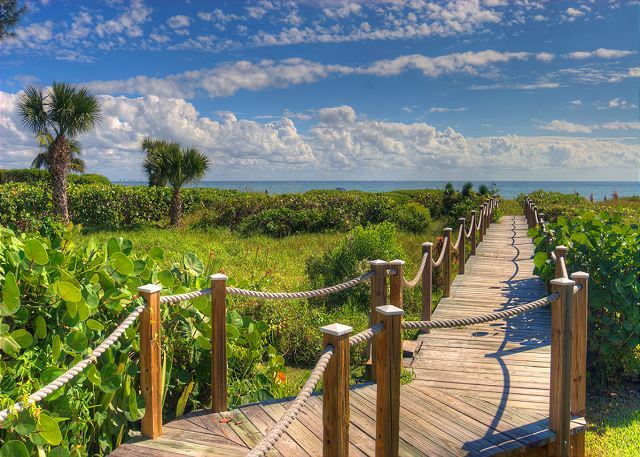 Easy access to beach and bike paths on Sanibel. The property manager (i.e., Rob) was great - delivered paddle board and bike rentals directly to us and was very helpful overall. Would highly recommend this unit without any reservations.